Despite sporting a more powerful processor and other new technologies, the iPhone 6s will actually use a smaller battery than the one found in the iPhone 6, apparently squeezing out the same amount of uptime with new efficiencies in the handset. 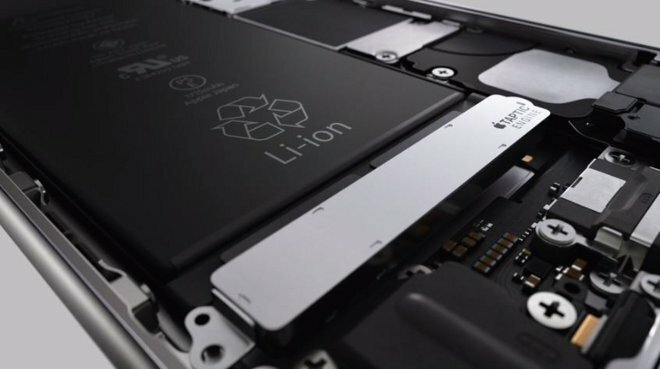 In a portion of Apple's promotional video showing off the interior of the iPhone 6s, the lithium-ion battery is marked as being a 1,715 milliamp-hour unit, iMore noted on Thursday. That's below the 1,810 milliamp-hours for the iPhone 6. Apple nevertheless claims that the iPhone 6s should be able capable of identical battery life, for instance 10 hours of 3G or 4G data use, or 11 hours of video playback. That would imply optimizations to reduce power consumption. Battery life, though, has been a regular complaint about iPhones since the first-generation model, and more smartphones have been pushing towards the goal of lasting a full day or more without recharging. Apple's own iPhone 6 Plus can meet that mark, and the 6s Plus may be able to as well. A few Android phones can last up to two days. As a rule, Apple doesn't publish exact specifications for the batteries it uses in its mobile devices. That information is only uncovered later, often through teardowns. Both the iPhone 6s and iPhone 6s Plus are due to ship on Sept. 25, following a round of preorders starting on Sept. 12. Upgrades on the devices include things like A9 processors, 3D Touch controls, and 12-megapixel rear cameras.